WASHINGTON — The Federal Motor Carrier Safety Administration’s chief safety officer last week said the agency has formed three core working groups to develop prospective requirements for manufacturers and truckers seeking to participate in highly automated commercial vehicle, or HACV, pilot programs. In a “high-level overview” presentation to FMCSA’s Motor Carrier Safety Advisory Committee, Assistant Administrator Jack Van Steenburg said the agency has divided the groups to explore short- and long-term regulatory pilot projects and data-sharing policies. The near-term goal of the agency is to set up a framework to permit regulatory exemptions that will allow manufacturers and carriers to participate in pilot programs where testing will initially be at a level where drivers can take over the system when there is an emergency, according to FMCSA. 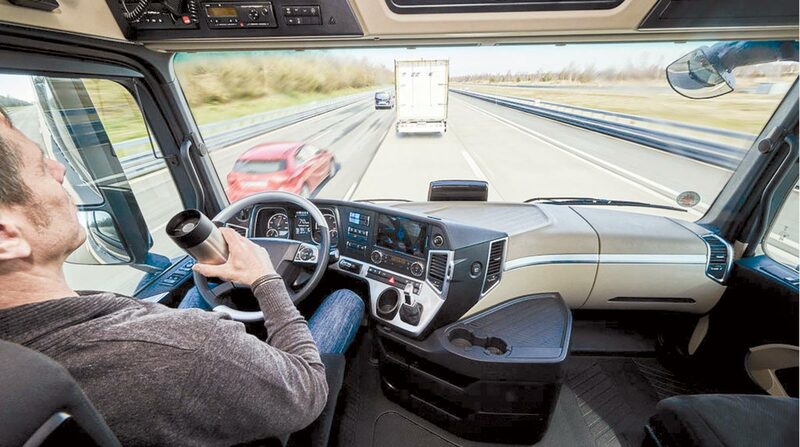 The long-term goal — to follow the development of autonomous trucks until they reach stage Level 5, where the vehicle will never need the driver to regain manual control — could be far off in the future, FMCSA said. Van Steenburg asked the 20- member advisory committee — which includes representatives from motor carriers, state law enforcement agencies, truck and bus trade organizations and driver training and safety groups — to provide recommendations on how to test and safely deploy the highly automated commercial vehicles. Since many of the committee members are not technical experts on the subject, the meeting was a combination of educational presentations by experts and a general discussion among committee members. At this point, there seems to be as many questions on the topic as answers. FMCSA’s “task statement” asks the committee to provide recommendations to the agency concerning the issues it should consider to ensure that appropriate safety standards are observed for HACVs from design and development through testing and deployment. Additionally, the MCSAC should identify data needs that the agency should consider in developing the framework for a potential pilot program on highly automated commercial vehicles, the statement said. Current regulatory requirements for heavy trucks and buses assume there is a driver behind the wheel, which could mean that in some cases they will need to be changed, Van Steenburg said. But for drivers not in total control of the vehicle, there likely will be a need for changes to hours-of-service regulations, driver qualifications, and inspections, repairs and maintenance of the autonomous trucks. In a wide-ranging discussion, committee members offered suggestions from such topics as cybersecurity, performance standards, assuring the public that the highly automated commercial vehicles will be safe and future infrastructure needs. Greer Woodruff, committee member and senior vice president of safety for J.B. Hunt Transport, encouraged the agency to collaborate with the National Highway Traffic Safety Administration and Federal Highway Administration, which also have critical roles in the HACV development effort. Jennifer Hall, a committee member and chief counsel for American Trucking Associations, suggested that drivers will have different roles in the future, perhaps similar to airline pilots. “It’s also important that regulations don’t stunt development of the technology,” Hall said. Holly Skaar, a committee member and research analyst with the Idaho State Police, said regulators need to explore how to keep drivers engaged in the event they need to take control of a vehicle in an emergency. In a presentation to the committee, Catherine Boland, vice president of legislative affairs for the Motor and Equipment Manufacturers Association, said the development of autonomous commercial vehicles depends on allowing existing regulations to remain. “Smart regulations that are already in place are important and need to stay there,” Boland told the committee. Leigh Merino, MEMA’s senior director of regulatory affairs, called on the agency to not “mess with the unique relationships present in the commercial vehicle industry,” and allow manufacturers to protect their intellectual property when guidance for autonomous vehicles is considered.